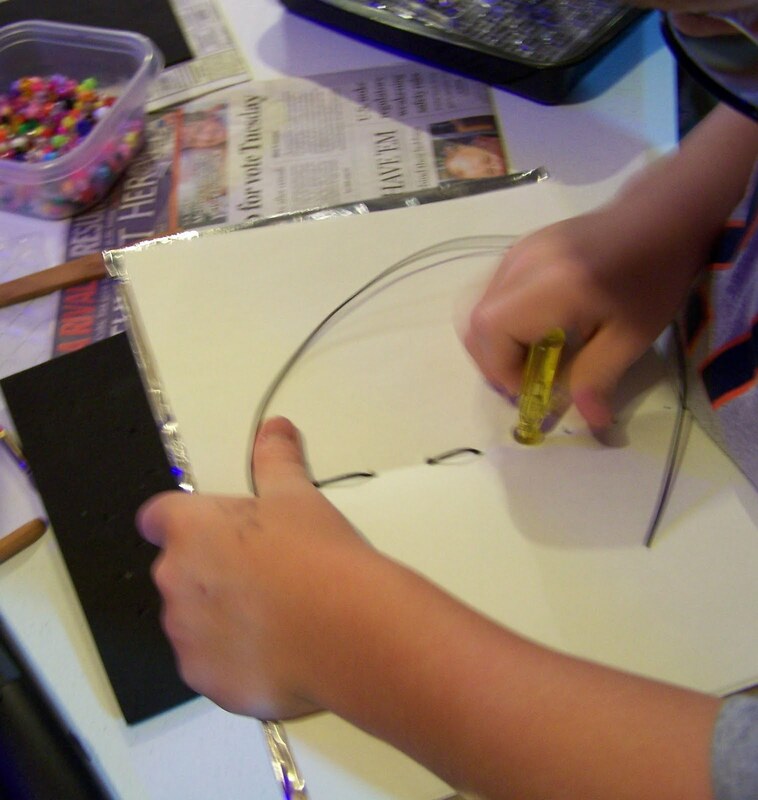 Yesterday I ran the first of three summer art workshops for kids at my home. 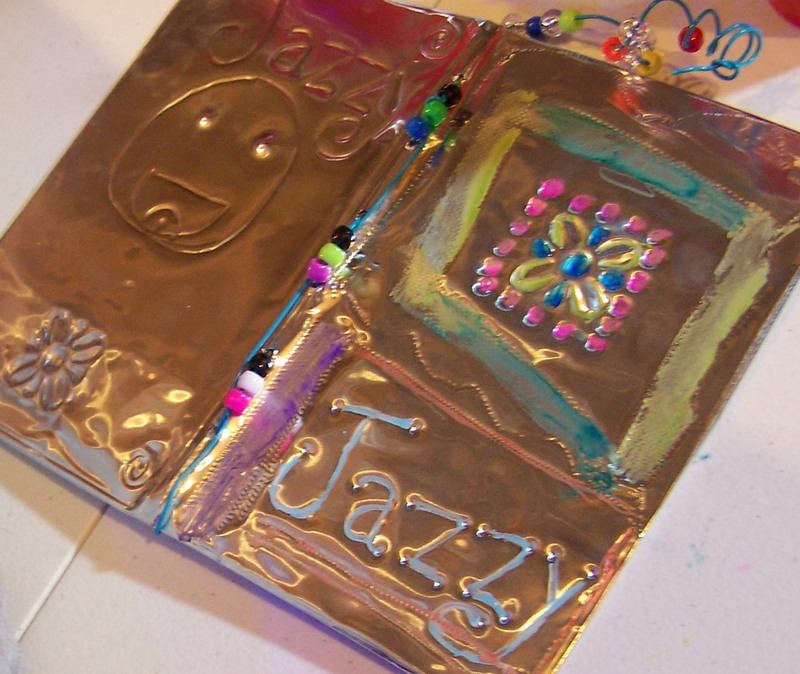 We made Magic Metal Journals which was a lesson plan that I found on the Blick Art website. 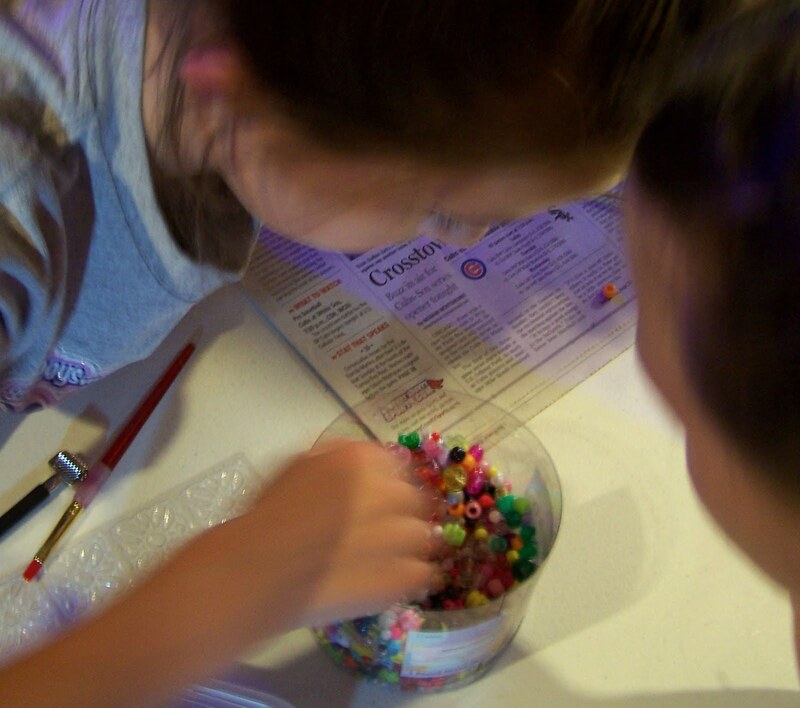 It seemed like such a cool project especially since it was something that the kids could use afterwards. 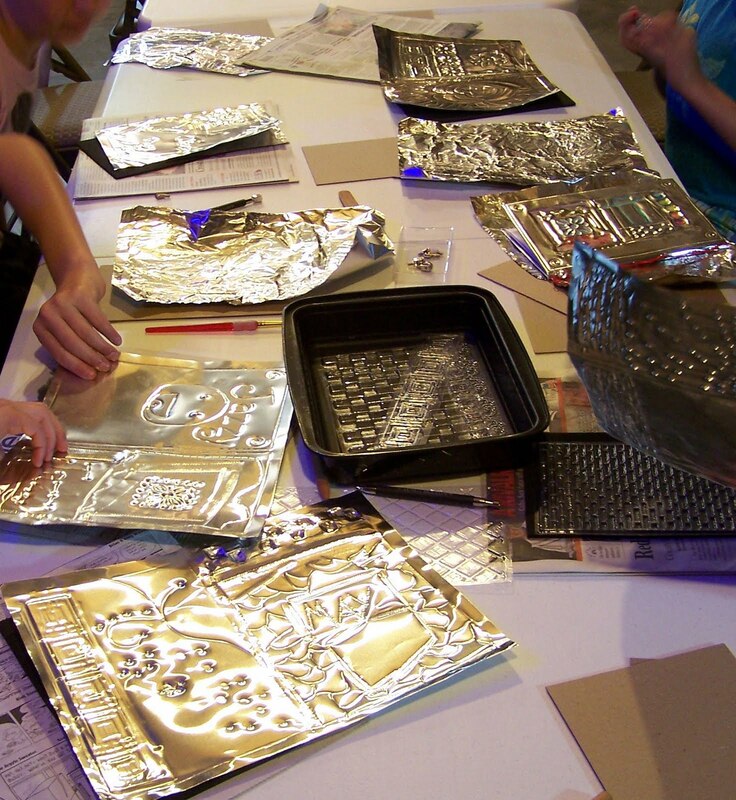 In the first photo the kids are embossing their foil covers with drawings, patterns and other designs. 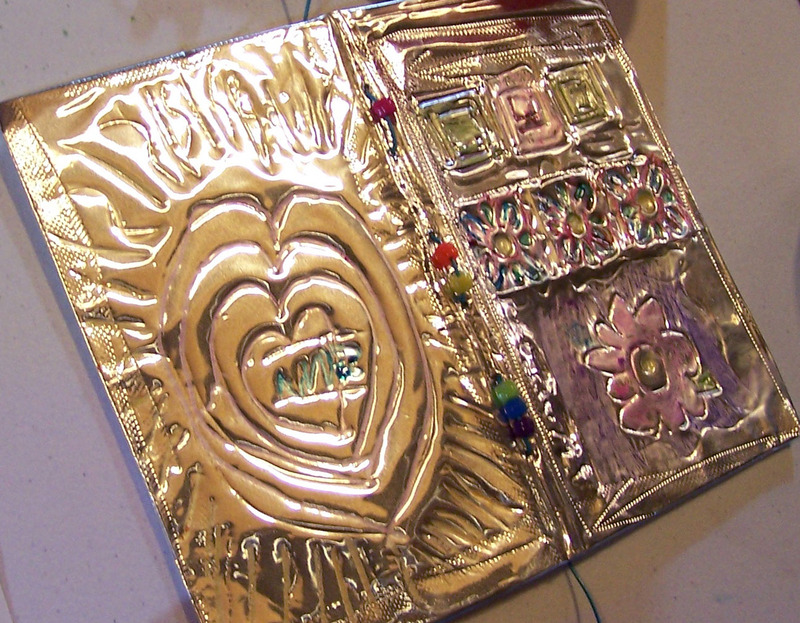 The journals were bound with colorful wire and beads were added for decoration. My basement is very dark and while I added lots of light for the budding artists to see their work it just wasn't enough for my camera. I hate using the flash so sorry for the blurry photos! 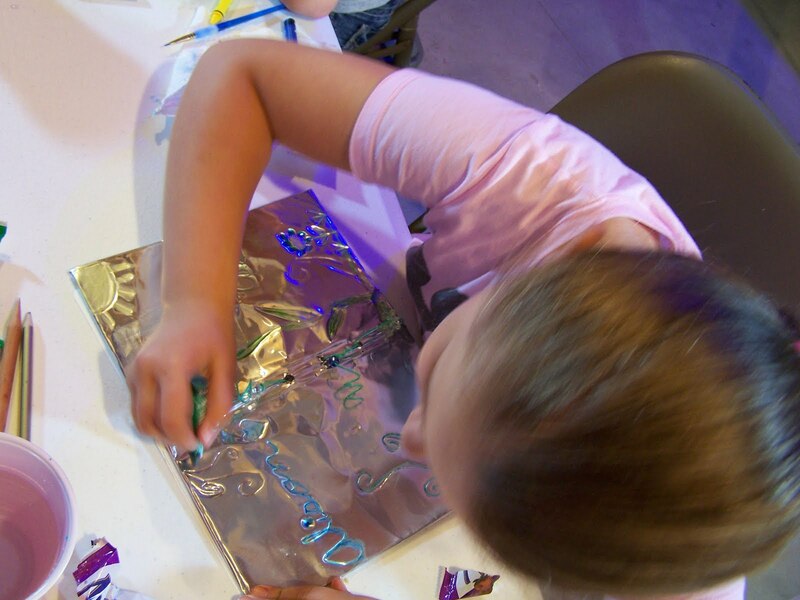 The kids added color to the foil using water soluble wax pastels. I had never heard of these before! 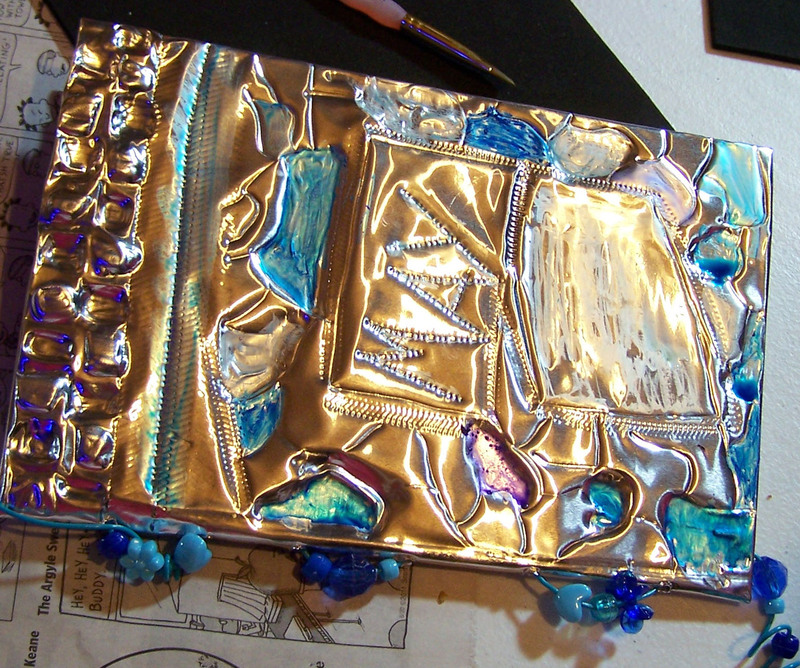 They stick really well to the metal surface and when you add water they work like watercolors. Of course I heard "wax" and thought of how I might try using them with my own artwork! Here are a few of the finished masterpieces! ﻿All in all I thought it was a great success! The kids were so creative and willing to dive right in. It was so fun to see them working away. I am definitely looking forward to the next workshop. Oh I love heat coloring copper! 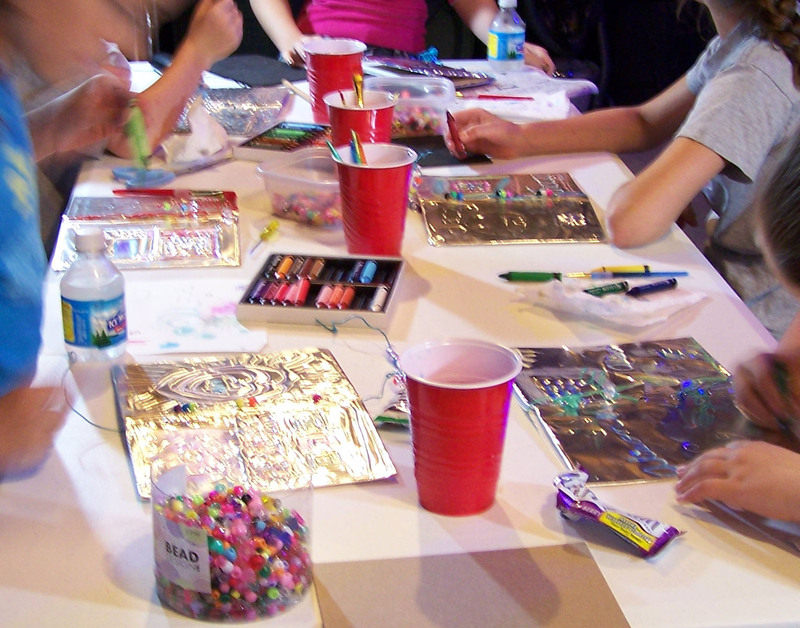 We do that in the jewelry/metals class at the high school but definitely not with the younger kids. these are so exciting, i bet the kids were really into it!